Dr. Jim Belcher (M.A., Fuller; Ph.D., Georgetown) is the author of the award winning Deep Church: A Third Way Beyond Emerging and Traditional (IVP, 2009) and the forthcoming Deep Christianity (IVP, 2012), and Chairman of the Practical Theology department at Knox Seminary, Fort Lauderdale, Florida. 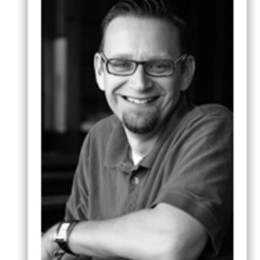 He is former founding church planter and lead pastor of Redeemer Presbyterian Church in Newport Beach, California. He is the cofounder of the Restoring Community Conference: Integrating Social Interaction, Sacred Space and Beauty in the 21st Century, an annual conference for city officials, planners, builders and architects. Jim previously led the Twenty-Something Fellowship and cofounded The Warehouse Service at Lake Avenue Church in Pasadena. He has served as adjunct professor at Azusa Pacific University and was cofounder of the Renaissance Project Skateboard Company. He has been published in Leadership Journal and re:generation quarterly. He and his wife and four children have spent the past year traveling in England and Europe while Jim worked on his next book.